There is currently an exploit on mythic Varimathras removing add spawn totally. Have one person tag the boss and run out of the room before it closes (warrior can jump out faster). The other raid continues fight as usual. When the fight starts this person gets first 'shadowsteps' the boss does (Alone in the Dark ability) outside of the room and eventually dies. 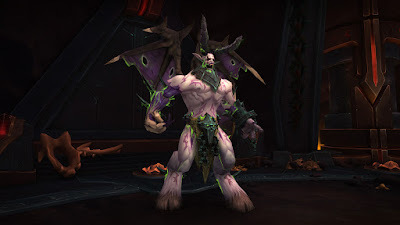 All subsequent 'Alone in the Dark' don't spawn add (Shadow of Varimathras) trivializing encounter. You still get the damage of that 'shadowstep' and noheal debuff applied so still need to stay in camp and manage necrotics properly. Tagging the boss might be not required but I personally don't know if it still works without it.